CKUA is a community radio station for the province of Alberta. 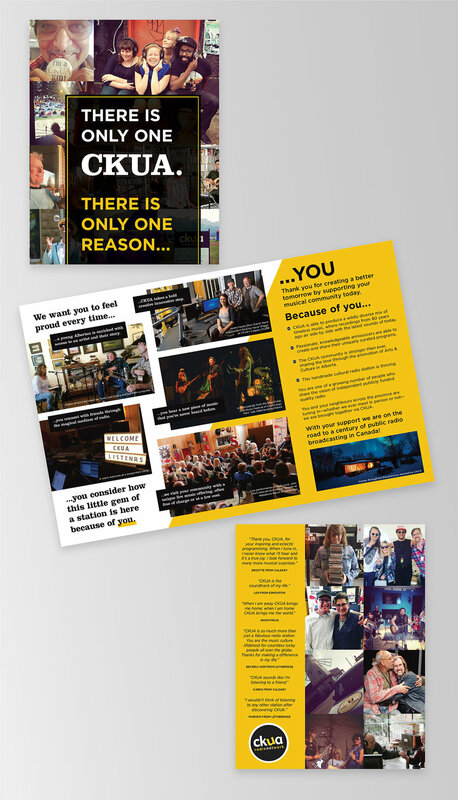 Back in 2015 the station was in need of a redesign of their newsletter, the task was to design a two sided 11x17 newsletter for print as well as an accompanying template for the e-newsletter that would be sent by email. I have been updating the newsletter two times a year since 2015. 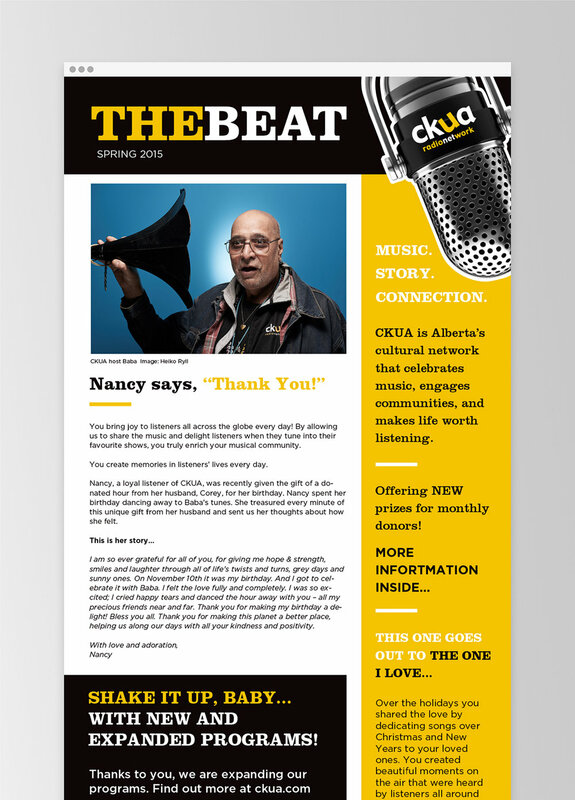 Example of the e-newsletter template. In the summer of 2017 the station decided they needed to send a mail out to the new donors that were beginning to donate to the station. The mail out was intended to inspire and reflect a sense of community the station brings as well as list all the reason why it is important to be a donor of the station. New Donor Mailout: double-sided tabloid size document, folded in half.